This is good news if you’re a fan of EVIL. 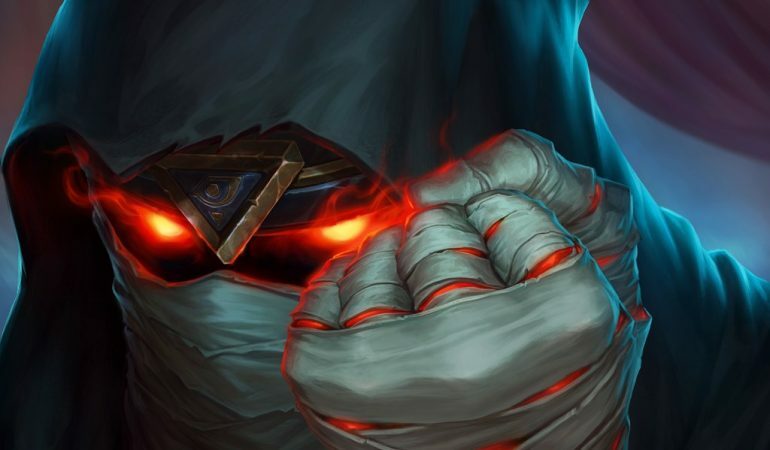 If you enjoy the EVIL classes from Hearthstone’s new expansion, then you just got some new recruits. EVIL Genius and EVIL Conscripter were just revealed as new cards in the Rise of Shadows expansion. 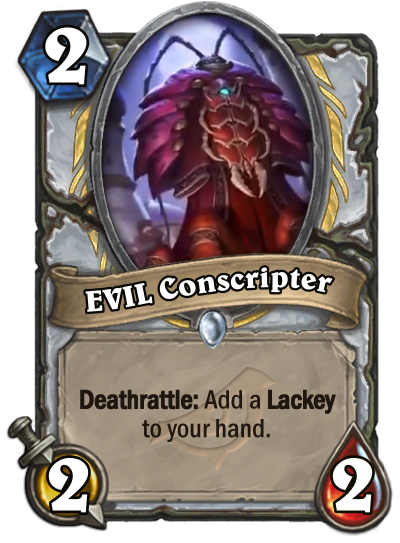 EVIL Conscripter is a two-mana Priest minion with a Deathrattle that lets you add a Lackey to your hand. Lackey cards are a new token type minion that can only be generated by other cards. The Deathrattle mechanic has played a big role for the Priest class in the past, but it’s unclear right now if that trend will continue. If you’re a fan of the classic Deathrattle mechanic in Priest, however, keep your eye on EVIL Conscripter. 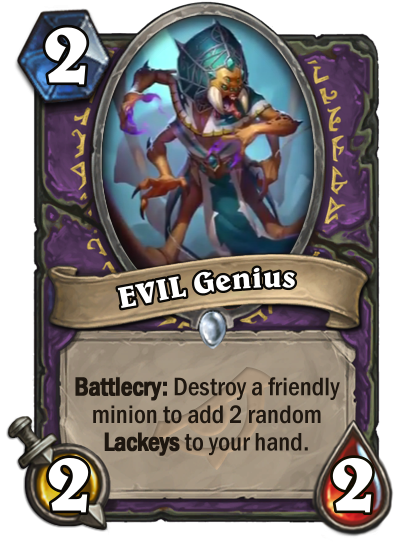 EVIL Genius is a two-mana Warlock minion with a Battlecry that forces you to destroy a friendly minion in exchange for two Lackey cards. This card could definitely find a place in just about any budget Zoo deck, and odds are that’s where you’ll see it first. Based on what we’ve seen so far, it looks like Lackeys will play a big role for the EVIL classes in Rise of Shadows. In order for a class to be considered EVIL, it has to be connected to a member of the league of EVIL conspiring against players in trailers for the upcoming expansion. Rafaam is a part of EVIL connected to the Warlock class and Madame Lazul is connected to the Priest class. Check out Rise of Shadows when it drops on April 9 to figure out what else they have in store for their respective classes.